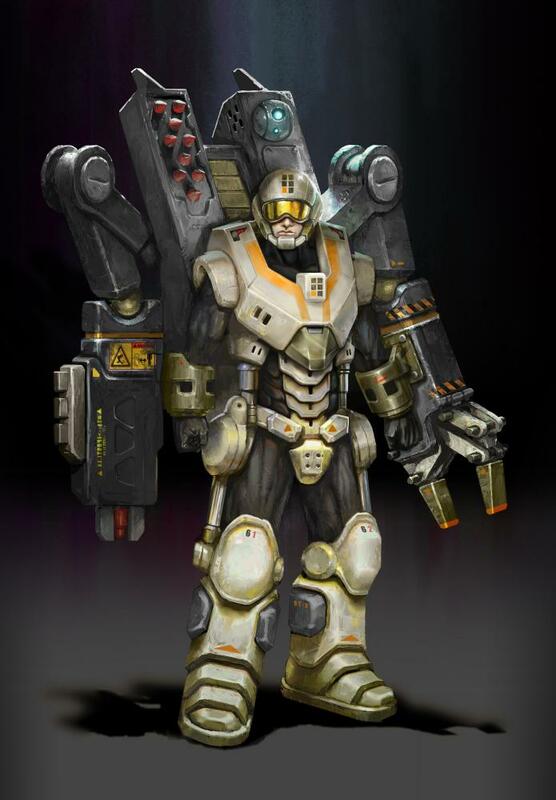 With powerful shields, protective armour and effective weapons, taking out a defensive installation or enemy craft in space is not a trivial undertaking. For those like The Broken who have limited structural capacity, the sabotage ship is a dangerous and powerful tool. 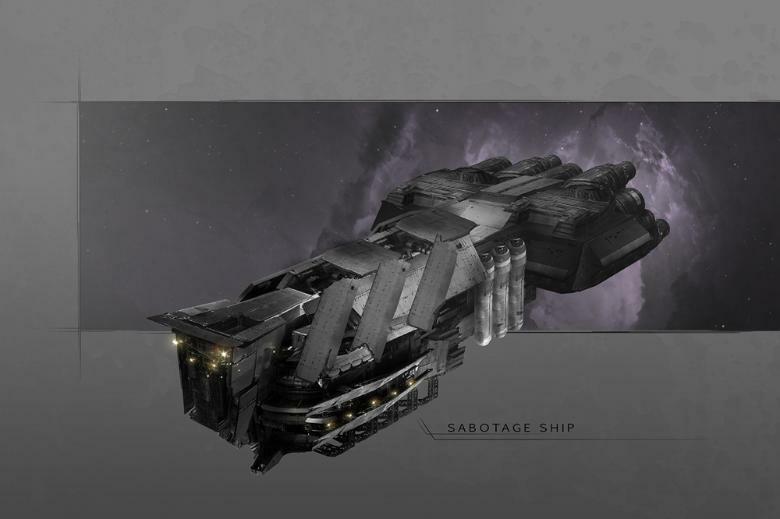 Stripping a ship bare, and filling it with explosives and cybel containers, and either a remote pilot, or a skeletal crew who have nothing to lose, sabotage ships are frequently used to gain access to restricted cybel gates, or as leverage in negotiations for resources, people and craft. 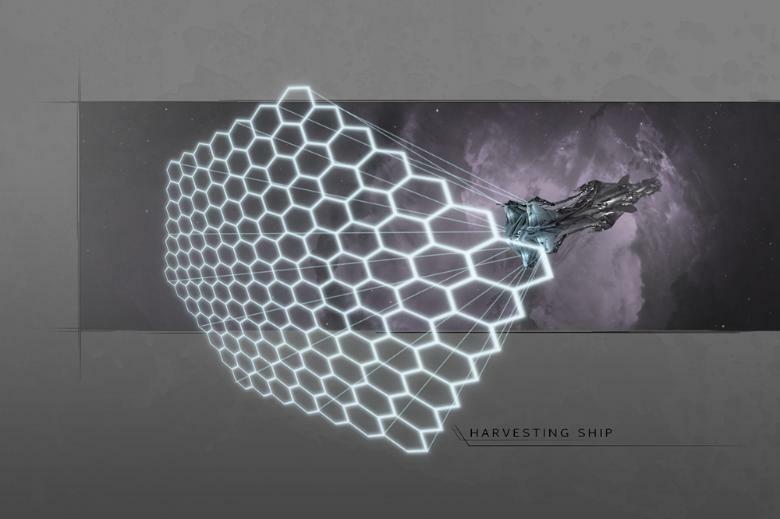 We previously shared the Interstellar Hydrogen Harvester, in the form of a film-based harvesting device. That is far from the only way interstellar hydrogen is harvested, and the above craft shows an alternate method in which hexagonal magnetic fields are used to trap interstellar resources. 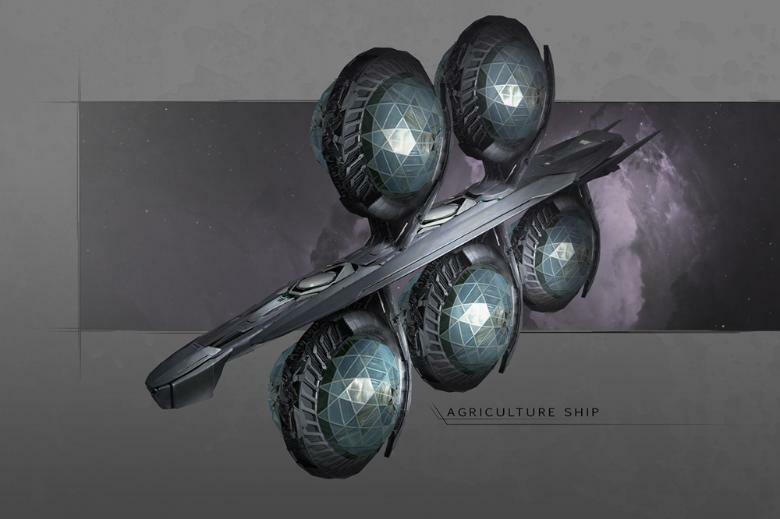 While this is more energy intensive than the film-based harvesting of the other IHH craft, it has the advantage in that debris does not risk damaging the harvester, passing harmlessly through the rings. The downside is that the energy required to operate the craft dramatically reduces its potential yield. As mentioned before, a handful of IHH ships can massively extend the practical range and viable capacity of an evacuation fleet, and are therefore extremely valuable to all of mankind. Countless fleets have been destroyed in combat over the smallest rumour of IHH possession. This piece of artwork is very important to us, as it was our first completed piece. 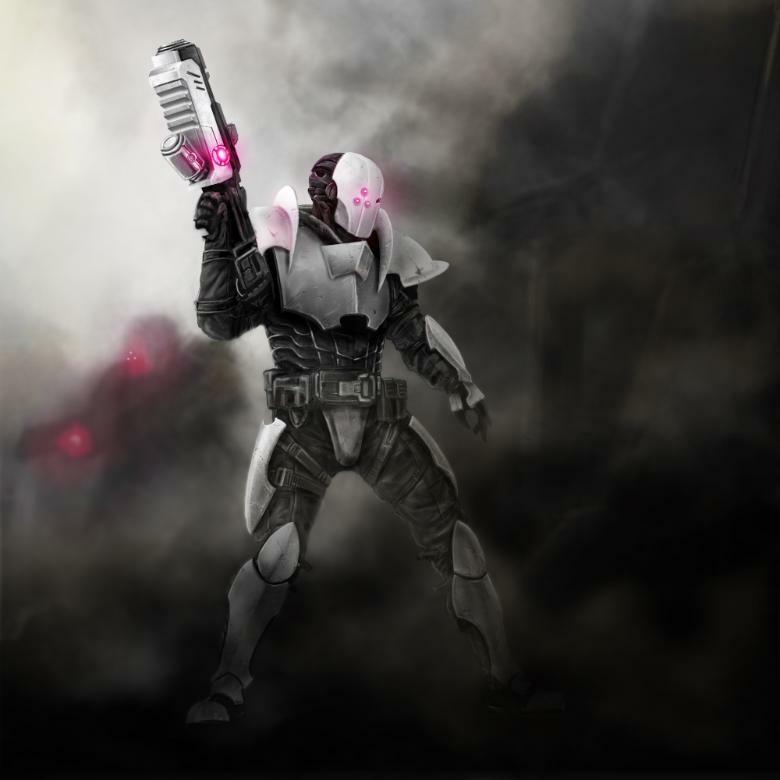 It also served as the initial concept and reference for sculpting the Karist troopers. 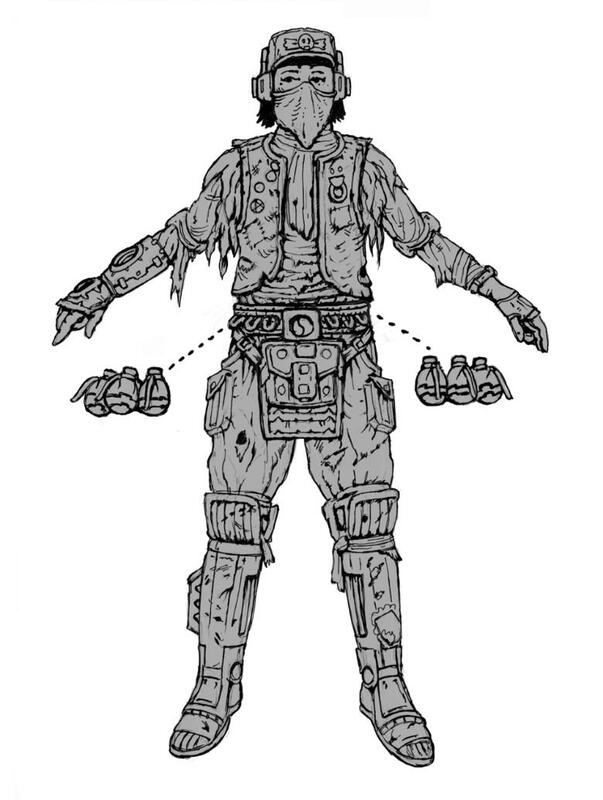 You'll spot a few small differences as we made the model in plastic, notably on the chestplate. This pose has popped up quite a few times in our conversions when we've played around with the sprue as tribute to this original piece of artwork which launched the rest of the range. 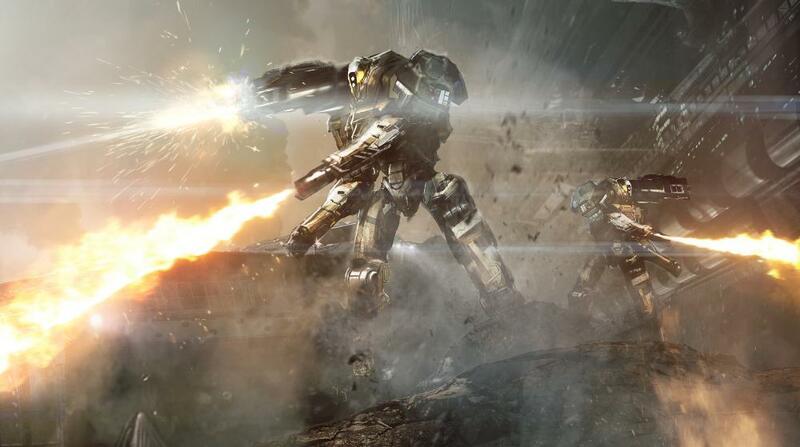 Other than our box art, we were suffering from quite a lack of scenic artwork featuring Epirian robots in action. This piece was commissioned to show two Epirian Scarecrows in the middle of securing an area at full force. From the railrifle firing a magnetically focused shot into the distance, to the chemical haze in the air around them, biological opponents have little hope! In a lot of Maelstrom's Edge fiction we discuss small craft, tunnelhuggers, and similar. 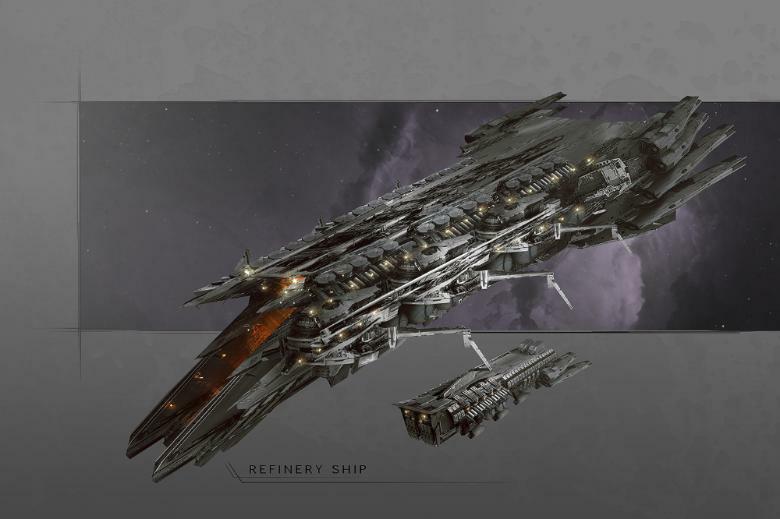 These craft can breathe air and operate in space, so are generally a bit more streamlined than larger ships. 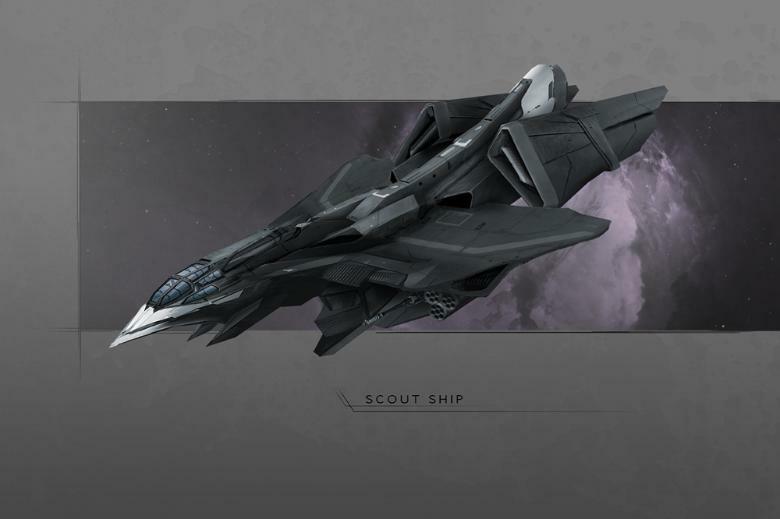 The craft above is capable of transporting 8 people for a considerable length of time, and is heavily armed with solid mass weapons that can operate in atmosphere or in vacuum. Karists often have to get as close to a world as possible without being seen to allow their forces to build up free from the view of those in power. A fleet of spacecraft is easily seen from across a system so is not the ideal way for an insurrection to establish itself on a world. Instead, the Karists use huge, natural asteroids, hollowing them out and installing a spaceship inside. These are known as Karist Arks. Small points are fitted to the exterior to allow cybel shielding, enabling transit of the cybel network, though arks will always try to leave the network before the final gate, spending months and even years travelling silently through deep space to get to their target unseen. 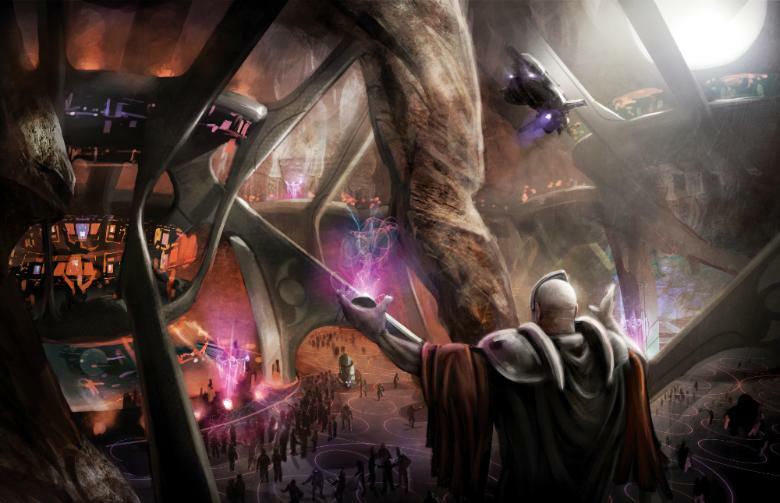 The image above shows the interior of one such Karist Ark, with a commune ceremony occurring as some of the populace go about their daily lives. The blend of natural and organic architecture gives Karist Arks a much more human feel than most other spacecraft, though this benefit is tapered by it being frequently dim and dark due to the requirements of low energy usage and low energy wastage over long periods of secretive travel towards a destination. When travelling at speed away from the ultimate destruction of the Maelstrom, the need for constant resources is always there. We've covered this with interstellar hydrogen harvesting and automated crop ships, but there is another key piece of the puzzle. Stopping off to manually harvest asteroids and other space detritus is a slow, energy intensive and hazardous affair. 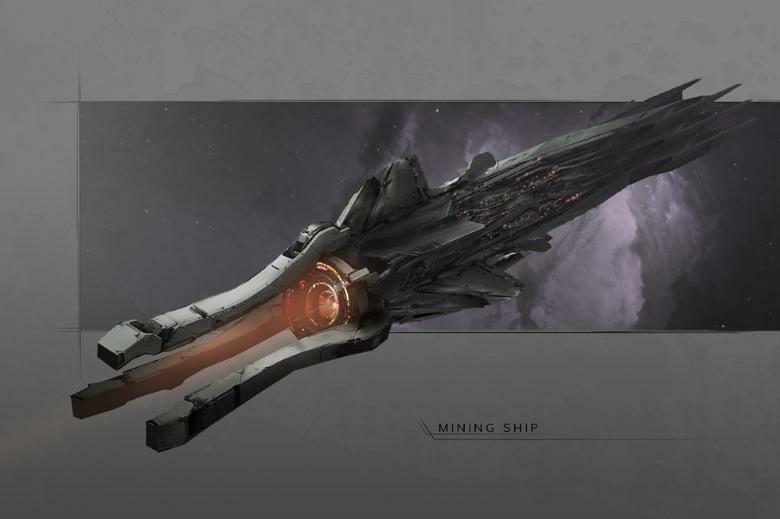 One of the most important post-maelstrom ships is the mining ship - a huge vessel which flies at the head of a fleet, ingesting physical matter from space and performing some basic processing of it. Larger material that would not fit in the intake is usually blasted by flanking assault craft so that as much as possible can be consumed for the long journey towards the galactic rim. Today's forward guidance is a nice preview of an upcoming Epirian model. Next week we'll discuss some of the options and features of this model, but this week we just wanted to share the image! 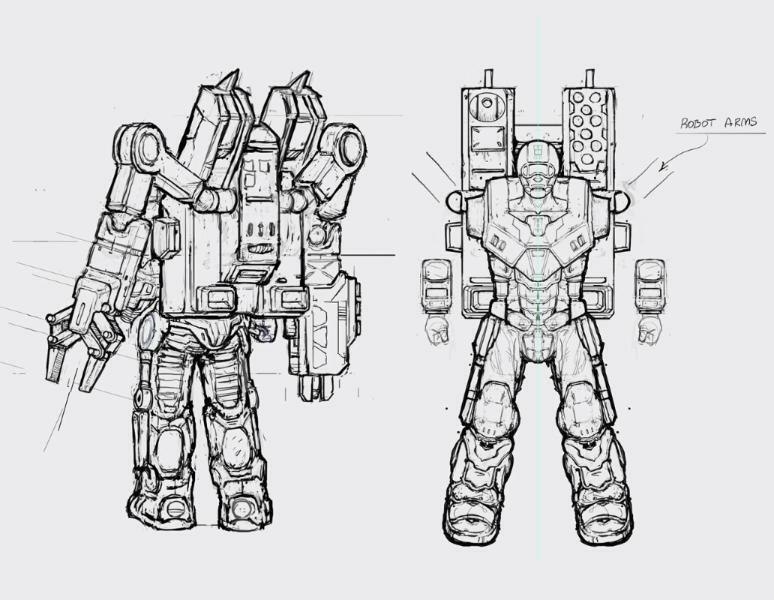 The model will vary slightly from the artwork as it will be entirely plastic and as a result, some design restrictions (with angles of the guns, shaping of the feet/legs, etc) cause some modifications to be necessary, but the final sculpt is pretty close to the artwork as with most of our models!